With his languid Ivy League accent, contemptuous eyes and tiger-orange fur, Morris the Cat was more than just Garfield’s funny uncle who never married–he was a television icon and considered the world’s first spokesfeline. Morris, like the Dalai Lama or the Buddha, is believed by his followers to be a transcendent being, reincarnating himself upon death. Each incarnation of the Morrishead is designated by a number. When referring to more than one incarnation, the term Morrisi is preferred. 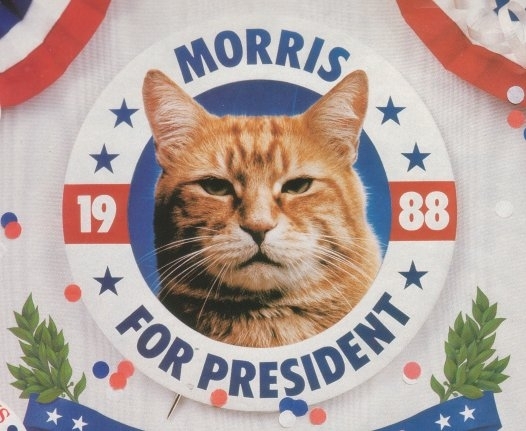 The current incarnation, The Estimable and Right Honorable Morris XI, is the eleventh cat to hold the esteemed position. Little is known about the specific selection process for new incarnations of the Morris, but it is widely held that only cats adopted from shelters have the potential to achieve Morrishood. Selecting the new Morris is a painstaking process, often taking several months. Typically, once the new Morris has been selected, he must endure several more months of study and meditation are required before considered ready to meet the public. A typical Morris is at least three years old before embarking on the grueling series of personal appearances and televised events which comprise many of the duties of the Morrisi. There are a lot of folks who want to put labels on me–on the movement that we’re trying to start here. These people want ideas with easy answers, things they can get their heads around. But tell me, can you put a label on a flower? On the wind? On a child’s smile? With the state of the world today, we simply do not have time for that kind of foolishness. The only labels I want to see are on a delicious can of 9Lives cat food. Morris XI was selected in November of 2008, and made his first public appearance in June of the following year. Like the ten previous Morrisi, Morris XI is considered by most of the faithful to be the one true representative of the Morrishead. However, Morris XI’s elevation was not without controversy. There is a growing segment within the Brotherhood of Morris which feels that Morris X’s ward, Lil’ Mo, should have assumed the mantle of Morris XI. Lil’ Mo has not commented directly on the situation. Although Lil’ Mo attended Morris XI’s installation ceremony, he has subsequently distanced himself from Morris XI. 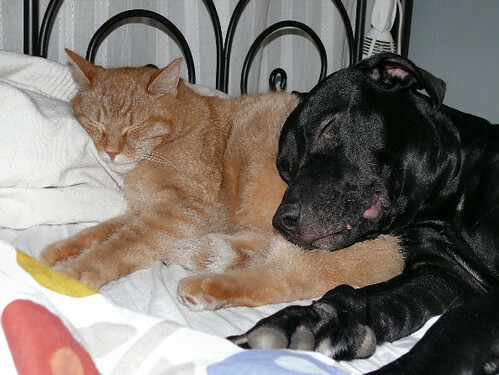 The most recent incarnations of the Morris have lent their time to charity programs like the American Humane Society, most notably promoting Adopt-A-Cat Month and Million Cat Rescue. The Puppygate Scandal Rocked The Morrisi: Morris VII and Patches. * Only about half the Morrisi have been gay. The rest underwent training to talk that way. * Some observers do not count Morris XI among the “True Morrisi.” He is sometimes called the “False” or “Apostate” Morris. * Morris VI was allergic to 9Lives. * Morris VIII, also known as “The People’s Morris,” grew up on the rough streets of Camden, New Jersey, even spending some time as an alley cat. He reflected upon these trying experiences in his 2001 memoir, Before Morris: Confessions of a Bad Cat. * Morris III was a Manx, and wore a prosthetic tail.